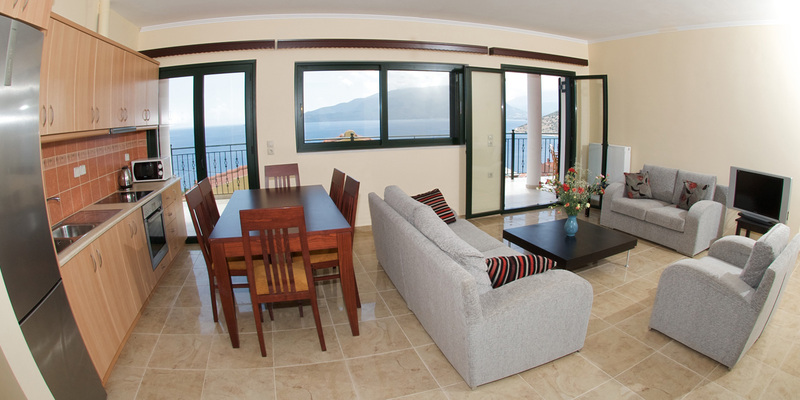 This stylish and spacious apartment can accommodate up to 8 persons. The main entrance leads to an open plan room featuring a spacious living room, an indoor dining area for 6 guests and a fully equipped kitchen. 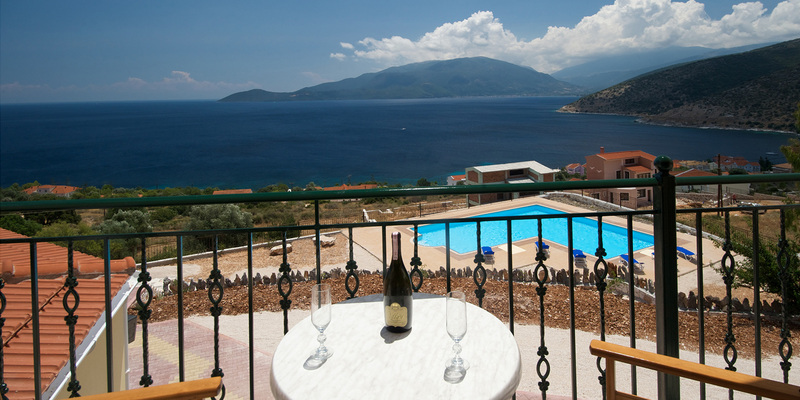 French windows lead onto a spacious balcony offering astonishing panoramic views to the Ionian Sea and the island of Ithaca. The apartment has four bedrooms. The master bedroom has 1 double bed and 3 single beds and the other 3 bedrooms have one single bed each. There are also 3 bathrooms. All bed linen and a selection of towels is provided. For your entertainment there's a Flat-screen TV with satellite channels and secure wireless internet access.